What would you do if you found out you were half-angel? And angels aren’t the kind creatures from heaven, but mindless killers that feed on humans? This is a hard book to review for me. I haven’t read enough angel-YA books to properly compare Angel Burn (or Angel) with other angel books. Therefore I will just give my general impressions of the book. The first thing that struck me was how all angels are portrayed as the bad guys. There isn’t just one band of “fallen” ones. They are all through and through bad beings. It’s a risky decision, as angels are often associated with God and he must be a good guy. 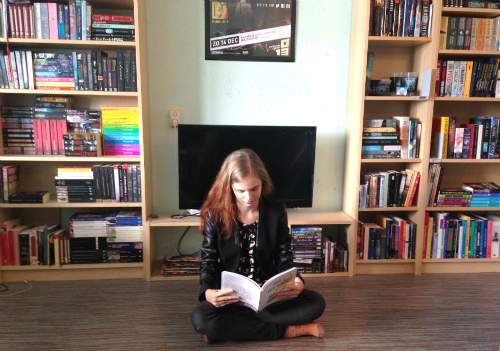 I liked that Ms Weatherly chose for a different system, which definitely made this book a little more special to me. This book is mostly set up as a road-trip. Willow and her love-interest Alex are trying to survive while looking for other angel-assassins to help them in the war against the angels. I’m not so sure how I feel about this kind of set-up. I find road-trips a tad boring, and equally so to read about one. It was a great setting for the blooming romance between Willow and Alex though. They have a rough start; Alex is a trained angel assassin, and Willow is half angel. There is quite a bit teenage angst going on, but it wasn’t annoying. I thought they were very cute together. The story builds a lot of tension towards the final part of the book, and I flew through the last hundred pages or so. Of course I’m not going to spoil the ending to you, but I can say that after you finish Angel Burn you really, really want to know how the story continues. 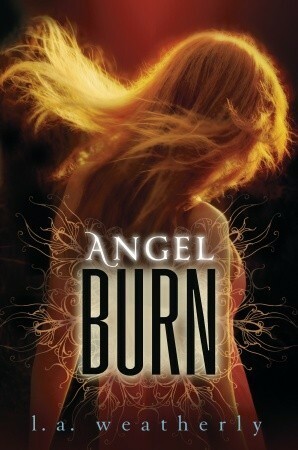 I would recommend Angel Burn to people that love young-adult fiction, that love angels, or both! Willow knows she’s different from other girls, and not just because she loves tinkering with cars. Willow has a gift. She can look into the future and know people’s dreams and hopes, their sorrows and regrets, just by touching them. She has no idea where this power comes from. But the assassin, Alex, does. Gorgeous, mysterious Alex knows more about Willow than Willow herself. He knows that her powers link to dark and dangerous forces, and that he’s one of the few humans left who can fight them. When Alex finds himself falling in love with his sworn enemy, he discovers that nothing is as it seems, least of all good and evil. In the first book in an action-packed, romantic trilogy, L..A. Weatherly sends readers on a thrill-ride of a road trip – and depicts the human race at the brink of a future as catastrophic as it is deceptively beautiful.